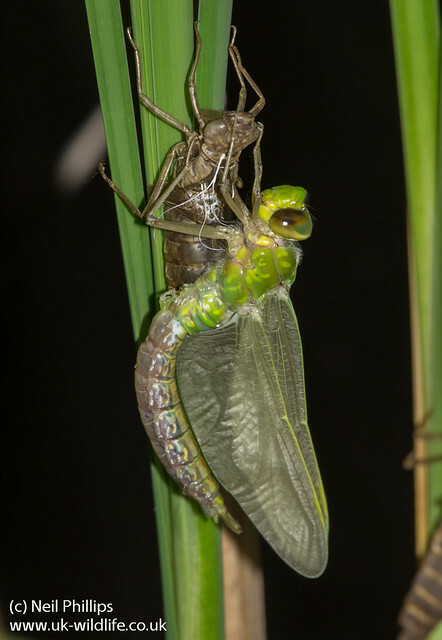 Tonight at 9pm, just as I was finishing work, a couple of emerging emperor dragonfly nymphs were spotted on some reeds in a pond. The light was literally non existent as the sun had gone down and it was the end of dusk, so I had to use flash, which combined with the awkward angle, made thing rather fun! 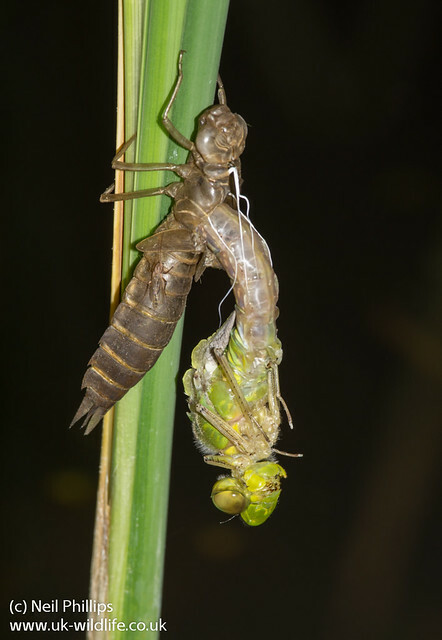 Here are a couple of images, one of the emerged and one of the other emerging.